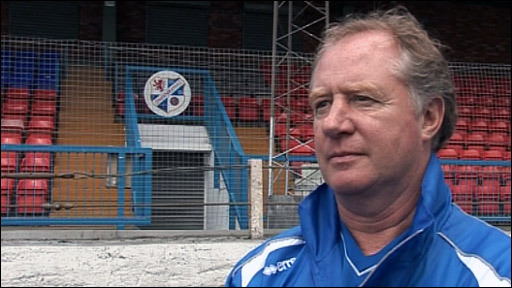 Colin Cameron has become Jimmy Nicholl's first signing, with the former Scotland midfielder being named player/assistant manager. The manager told Cowden's website: "His main focus will be on the coaching side, but he will also be a very important player for us." 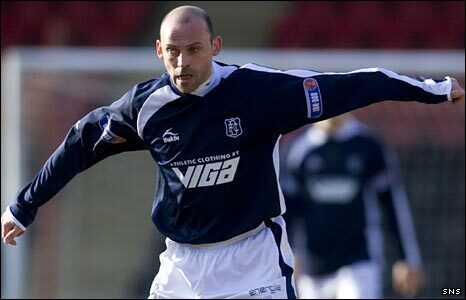 Cameron, 37, began his career under Nicholl with Raith Rovers. He played for Hearts, Wolves, Millwall, Coventry and Milton Keynes Dons and was released by Dundee this summer. Kirkcaldy-born Cameron ended an injury-hit, two-year spell at Dens Park on loan to Arbroath as they were relegated to Division Three. But the former Scotland midfielder was part of the Rovers team, managed by Nicholl, that defeated Celtic in the League Cup final of 1995, winning a transfer to Hearts the following year. Nicholl is still assessing his squad before adding further signings, with former Blue Brazil manager Danny Lennon having already raided Central Park to take three players with him to St Mirren. "I have been delighted with the general fitness levels of the squad and have been very impressed with the quality on display," he said after the start of pre-season training. "I'll see how many Danny is going to come back for, the magpie. "You know the magpies come in and nick your jewellery and then take them back to their place. "I'll wait until the magpie's finished with our players and see what he has left me with." Left-back Peter Bradley became the latest departure last week even before becoming a first-team regular with Cowden. He joined at St Mirren Park central defender Darren McGregor and forward Paul McQuade, who were both integral parts of the squad that won the Blue Brazil a second promotion in succession. Winger Scott McBride also left the club, heading for one of Nicholl's former clubs, Raith Rovers.